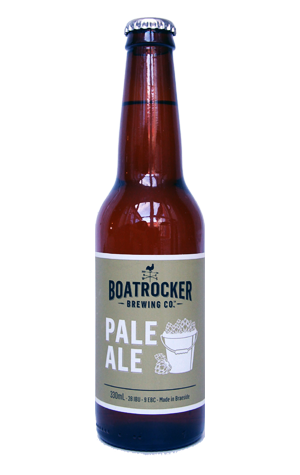 A beer that, in a different form, was Boatrocker's entry for the 2012 Great Australasian Beer SPecTAPular (when it stood for Single Malt And Single Hop) has since evolved. Many times, to the point that it became known as the Big Love Suburban Pale and, as of the middle of 2016 has ended up as, simply, Boatrocker Brewery Pale Ale. Tagged as a "New World hop ale", it makes full use of the brewery's custom built hopback to elicit as much stone fruit and tropical aroma as possible from Cascade, Victoria's Secret and Galaxy hops. When fresh, it achieves just that, also coming with a full body that belies its mere 4.4 percent ABV, making it one of the best beers of its kind in this most crowded section of the Aussie beer market.